While static QR Codes are often seen as just another piece of art work and not chargeable, creating Dynamic QR Codes requires you to not only provide an on-going service, but to subscribe to a service yourself. So how do you price for that? Here’s how. For printers whose customers “haven’t asked for QR codes in a while,” that doesn’t mean they’re not being used. 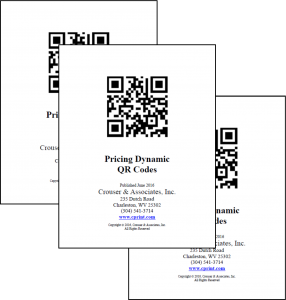 It just means you could be missing out on a unique proposition to increase sales as QR codes are far from being dead.